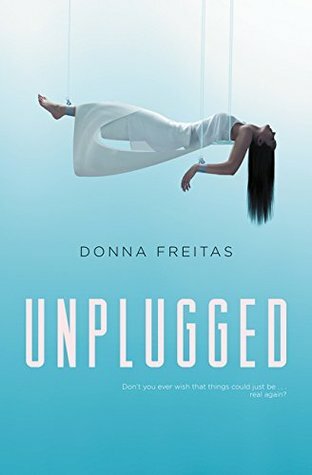 Unplugged by Donna Freitas wasn't a book really on my radar but once I heard of it, I just knew I had to read it and boy, am I sure glad that I did. One of the biggest reasons I loved this book so much was the way the Author thought outside the box in creating her world. Sure, the story has a heavily influenced Matrix vibe going on but her world becomes so much more than just an us vs. them mentality. These people are genuinely happy with their existence. Their is nothing better than having your every whim catered too. It's only the few who want more than a shallow existence that seek the truth in their world and want to overcome the corporations running it. Obviously their is more to the story than that but I don't want to spoil things for you. Another thing I really liked were the characters. Despite the appers being presented as shallow, self absorbed and lacking any real dimension I found they all really wanted just to be accepted and to be loved. I suspect that while they do enjoy the benefits of a virtual existence it is really just fear that is holding them back from going back to a real world with real problems that need solving. I guess that's why I liked the main protagonist Skye so much. She came from a humble background and despite growing up in the App world her roots still define her. Now although I really loved this story. I do have to say that I really wish it had been a stand alone. Yes, I will read the sequel and am certainly looking forward to it but I think certain plot elements introduced near the end were unnecessary. Mainly those involving Skye's sister back in the "real world". Again, I don't want to spoil the story but her introduction and that whole side plot really felt like a waste. It was almost like midway through the Author was told by the publisher that they'd really like to make this a series and so she had to amend the story to do just that (pure speculation on my part). Does this take away my overall enjoyment of Unplugged? No, but, it does just leave me a bit saddened because I really think this could have been fantastic by itself. 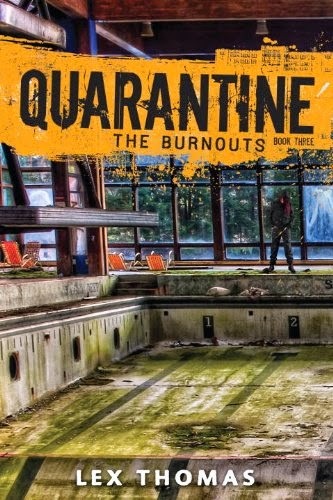 Not every book needs a sequel and this book was one of those. Overall, I really cannot be happier with Unplugged. The story had fantastic pacing, the writing was rock solid, I loved the characters (for the most part) and I can't wait to see where the story goes in the future. I highly recommend picking this up once it releases and I truly hope you enjoy it just as much as I did. With that being said, I'll be rating Unplugged by Donna Freitas ★★★★★. Recommended For Fans Of: The Leveller, The Cage , and The Unseemly Education of Anne Merchant. Donna Freitas is the author of both fiction and nonfiction, and she lectures at universities across the United States on her work about college students, most recently at Colby, Pepperdine, Harvard, and Yale. Over the years, she has written for national newspapers and magazines, including The Wall Street Journal, The New York Times, The Boston Globe, and The Washington Post, and she’s currently a non-resident research associate at the Center for Religion and Society at Notre Dame.